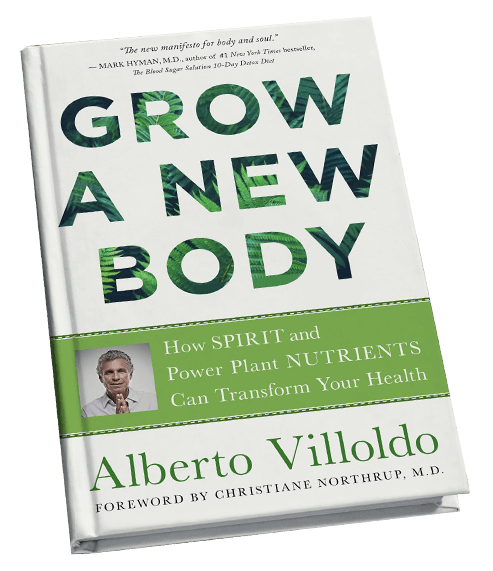 How Spirit and Power Plant Nutrients Can Transform Your Health By Alberto Villoldo, Ph.D.
You can start to grow a new body in as little as 7 days, a body free from disease and defying the ageing process. All you have to do is switch-on the codes stored in your DNA that helped you grow from a single cell to a full adult. 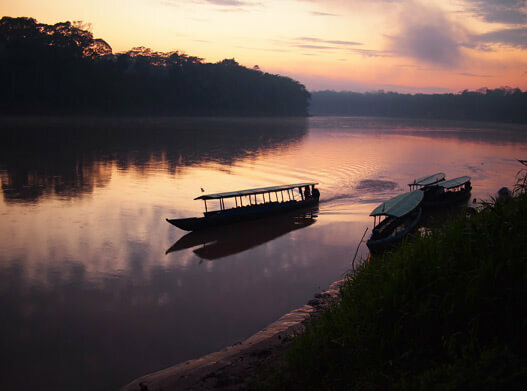 It’s a secret the shamans of the Americas have known and practiced for millennia, leading them to health spans equaling their life spans. It’s called One Spirit Medicine. It can restore your health and prevent the illnesses of the West, yet requires we bridge modern science and the ancient shamanic wisdom Alberto Villoldo reveals in this book. Shamans have been blending the power of sacred plants with One Spirit Medicine for over 50,000 years. The plants switch on the genes that create health and silence the genes that create disease. Dr. Villoldo shares extensive scientific research, and how you can employ them today. One Spirit Medicine clears the imprints for ill-health from the energy field that surrounds the body. Together they break-in to password protected regions in your DNA that allow you to repair and upgrade your brain, to heal pre-existing conditions, and to grow a new body that ages slowly and is free from disease. 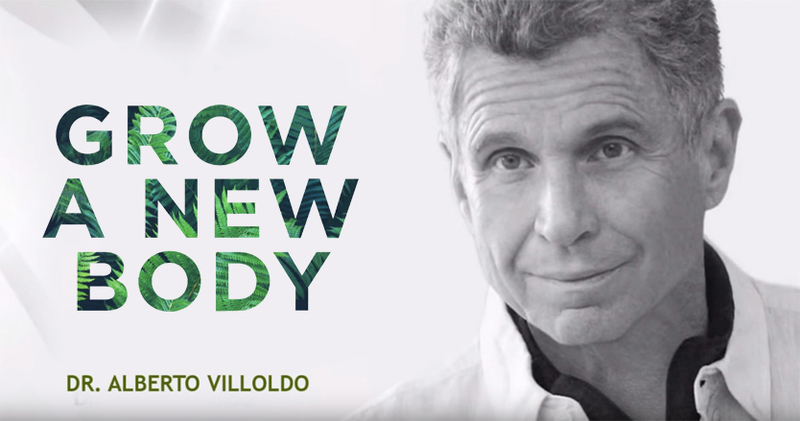 Dr. Villoldo explains how spirituality is inevitable – once we stop flooding our brain with the stress hormones and start to produce the bliss molecules that facilitate the experience of One Spirit. The neuro-nutrients in the book help to access the higher brain that loves exploration, discovery, and consciousness. The practices that detoxify your energy field keep you from repeating the tragic tales and health stories of your family. In this new edition you learn how mTOR is the master regulator of human ageing and how animal protein is what speeds the ageing clock. In effect, animal proteins are the new “sugar” in our diet. You learn how modern Paleo diets are killing us, how excess protein is fueling cancer growth, and how to keep open the detox pathways in every cell of your body to avoid disease. 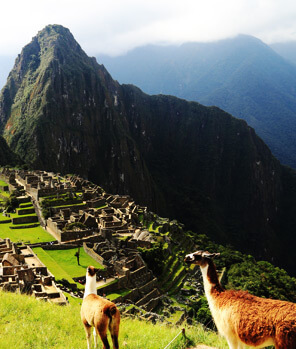 Drawing on more than 25 years of experience as a medical anthropologist and training in the shamanic tradition—as well as his own journey back from the edge of death—acclaimed healer and teacher Alberto Villoldo introduces us to powerful shamanic practices, based on healing methods that our Paleolithic ancestors used, and supports them with the latest breakthroughs in science. You will learn how to detoxify the brain and gut with superfoods and supplements; discover ways to work with mitochondria to switch off the “death clocks” of our cells; explore techniques for working with our luminous energy fields to repair our bodies and our brains; and follow the ancient teachings of the medicine wheel to shed disempowering stories from the past and toxic emotions trapped in the body in order to pave the way for rebirth and whole health. Using the principles and practices in this book, Dr. Villoldo promises you can feel better in a few days, beginning to clear your mind and heal your brain in a week. In six weeks’ time you will be on your way to effectively “growing a new body”—one that mends rapidly, ages gracefully, and keeps you connected to Spirit, to the Earth, and to a renewed sense of purpose in your life. Starting today, you can stop the frustrating cycle of toxic eating habits which lead to ill health and instead direct your body to grow healthy, vibrant new cells by including the critical link you never knew was missing – Spirit. 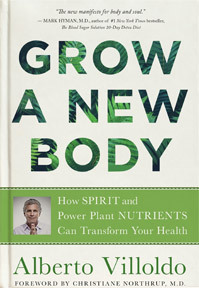 Grow a New Body offers shamanic practices alongside cutting-edge science, detox strategies, and power-plant foods that can switch-on every cell’s ability to regenerate and repair.